Gaudy, gregarious, and indiscriminately empowering, The Greatest Showman is like a vivid dream that you watch with eyes wide open. Technically speaking, that’s not always a good thing for a number of reasons: drama is forced, smiles are glued on faces, darker chapters about its protagonist have been ripped from the binding altogether. But that’s because this endearing, earnest musical has no time for the encroaching darkness of nightmares. Go into it expecting to be swept away by its bellowing assemblage of voices and you’ll end up on the other side of the sea, tapping your feet and nodding your head along to a movie that, true to its limitless spirit, simply wants to entertain its audience at all costs. 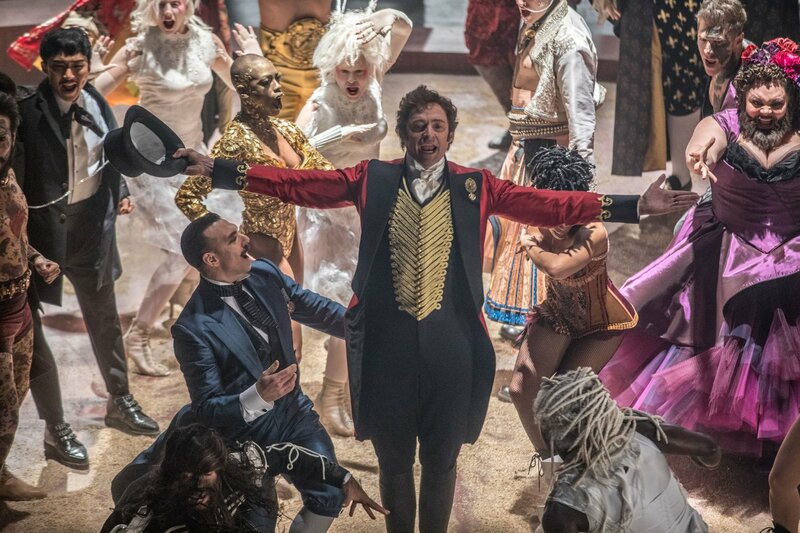 Similar to the unforgettable tune at its epicenter, “This is Me,” The Greatest Showman has the confidence to present its mediocrity as if it were royalty, and then it earns your admiration through exerted effort. Prepare yourself to be swindled and strike it rich all at once. The son of a tailor falls for the daughter of a Monopoly man. The two part ways, grow-up, reunite, start a family and risk it all for a dream. And to multiple songs, this unfolds within the first 15 minutes. 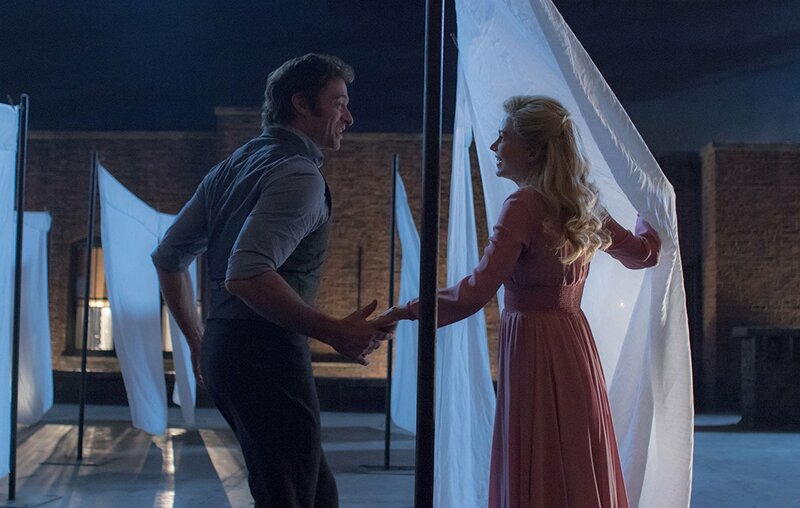 The Greatest Showman has no time for wasted exposition; it knows where it needs to go and precisely how it wants to get there. So we hunker down as the recently unemployed P.T. 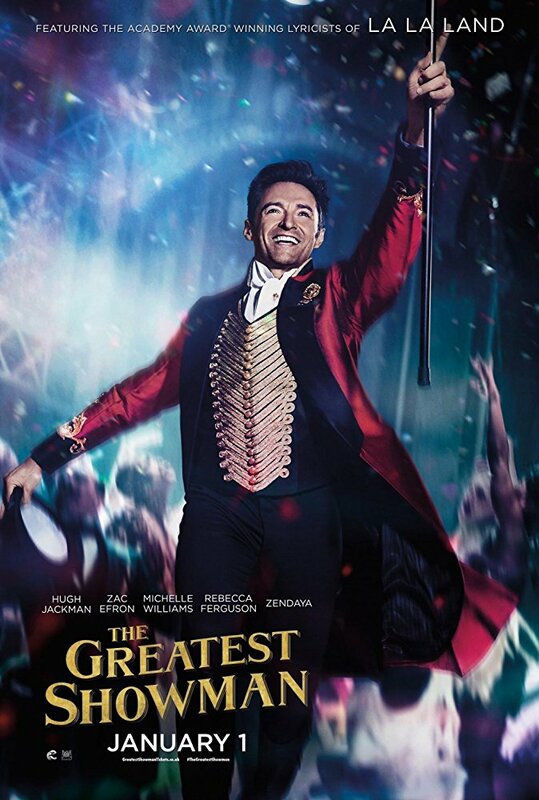 Barnum (Hugh Jackman) uses creativity and a 19th century marketing prowess to provide for his lifelong love Charity (Michelle Williams) and their two daughters. What we have here is a film that’s more of an original musical than it is a biopic, which is a perspective that elevates the Las Vegas level entertainment and glosses over most historical fact-checking. And I think that’s fine. What better way to convince audiences that dreams can come true than to blitz the screen with all-out fantasy and to frame the entire endeavor as a floating castle in the air? Most dramas force us to look inward or outward or both. Contrary to routine, The Greatest Showman pines for us to crane our little heads up in awe. I left with a kink in my neck that’s since been massaged out by the swaying melody and foot-stomping rhythm of a soundtrack that’s utterly alive with bourgeoisie anthems. This isn’t a great film, yet it leaves a great, tattooed impression. Barnum’s museum of the perverse and macabre becomes a show, which becomes a circus, which becomes embroiled in controversy and loitering picketers. Even the dockyard drunkards don’t want these outsiders around, because, as is sadly standard for the human race, people fear difference. The belting bearded lady, the little man, the fat man, the giant, the Siamese twins, the albino. It seems the only job qualification for Barnum’s menagerie of men and women is the ability to embrace your inner self, to laugh a little, and to walk shoulders back and chins up. 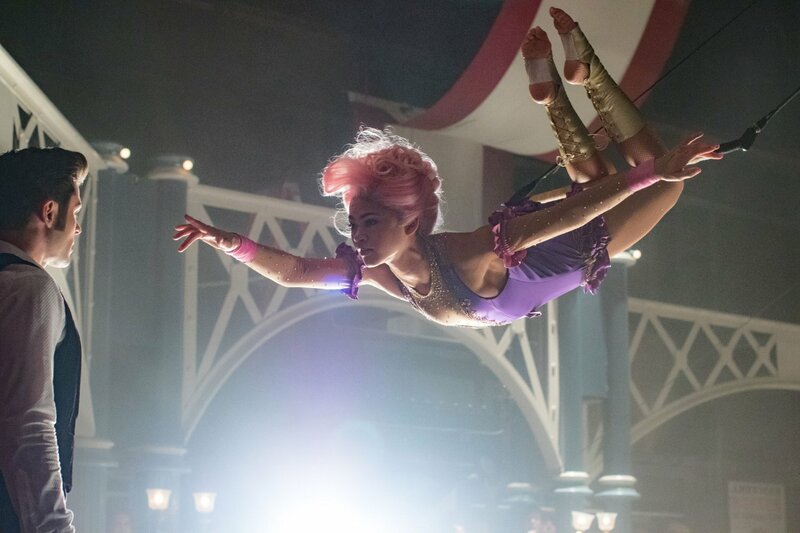 Lopped into the film is an illicit love story between the African-American trapeze artist Anne Wheeler (Zendaya) and the shunned aristocrat/new showman Phillip Carlyle (Zac Efron). Barnum, frustrated by his childhood as a paper dealing pauper, can’t escape his indulgence in the excess and desire for acceptance from the noble crowds. This leads him to Jenny Lind (Rebecca Ferguson), a reputable and famous opera singer and a likewise plebeian. Barnum’s relationship with Lind is rather ridiculous and fails to combine its PG rating with R-rated adult drama, but the tangent spins Barnum around for all of us to see his best and worst qualities in this sacrosanct altar of a film. P.T. Barnum is the hero by default, and for the discerning in the crowd, he’ll also seem to be the villain. The character’s mixed motivations make-up for a lack of true insight into a past that’s been painted with pastels, bright lights, and an overwhelming amount of alacrity.